It's no secret that I greatly look up to and admire the lovely Michelle Zink. Not only is she an amazingly talented writer, she's also a pretty amazingly talented friend. 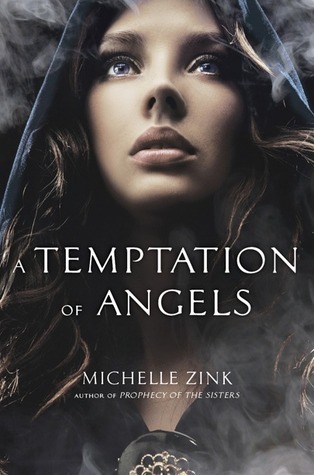 Her new book, A Temptation of Angels, comes out on March 20th. That's right, in FIVE days. Exciting, no? Seriously, guys. I can't wait for you to read this book. It's hauntingly and beautifully written, a rich romance that will leave you wanting more. Whoever wins is REALLY lucky!! Thanks so much for this giveaway! I love this book and am very much in need of a signed copy. I'm really curious about this one. I enjoyed the Prophesy of the Sisters, so I look forward to checking this one out. Thanks for the giveaway, I have been wanting to read this one! Would love to read A Temptation of Angels!!! A TEMPTATION OF ANGELS winners!